My children and I are party supply hoarders. We just can’t pass on some cute flags, a bag of confetti or, honestly, anything in the party supply isle. For my son’s birthday I thought it would be fun to send some of our favorite party supplies along with an invitation. It sets the mood to party! Step 2: Add the rest of your supplies. 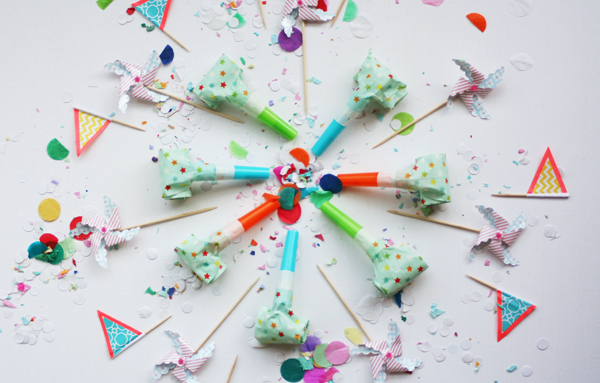 If you have the time you could make some of your own party supplies: pinwheels, flags, party blowers and create a theme. I love shopping for party supplies at Hema, but they only ship within Europe. I’d love to hear where you guys like to shop for party supplies! Hema is the best. So stylish and affordable. 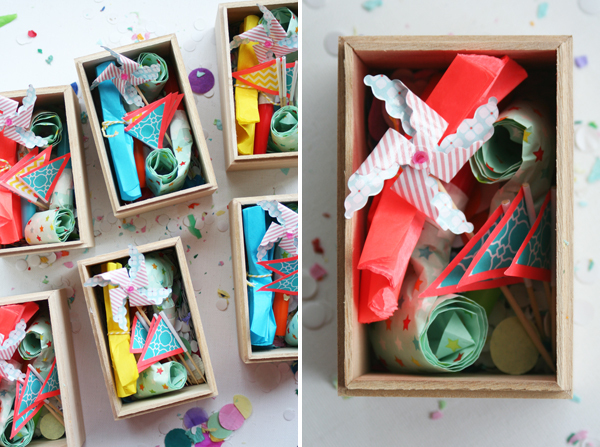 Love these little boxes! What a festive little box to receive! Where’d do you get the cute little wooden boxes? Hi Janae! I had these boxes made for a project. Hoping they become available for purchase this fall. I’ll keep you updated! Who wouldn’t love to get one of these! How fun! Perfect idea Joke! I too would like to know where you purchased those wood boxes from, I’m constantly on the look out for similar ones. Hi Melanie! I had these made for a project I’m working on. I’m hoping they will become available for purchase in fall! I’ll contact you if so! This information is very useful i like it. I absolutely LOVE this idea! 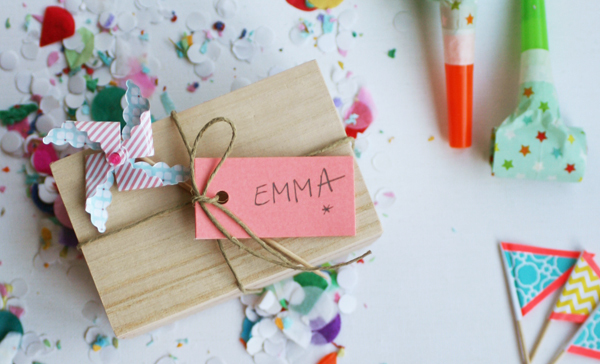 What a great way to get people excited about a party – plus free stuff is always great! Reading you posts always makes me smile. Can you please recommend a source for confetti? I am looking for a bulk supply right now for my upcoming wedding! Thx! such a lovely idea, thanks for sharing! Where is the invite? All I see in the decorations? Was the invite mounted on the bottom of the box? Love this idea. Definitely one for next year’s 6th birthday party for my growing girl. That’s a neat idea! 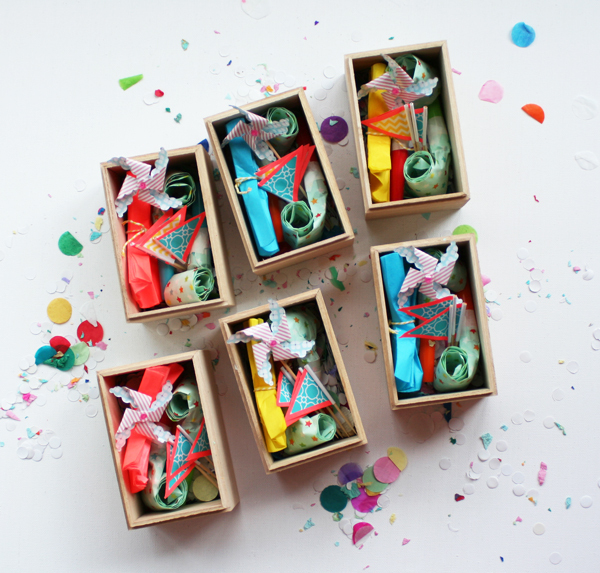 I definitely think you should make those cute little boxes available if you haven’t yet. They would be great for something like this.